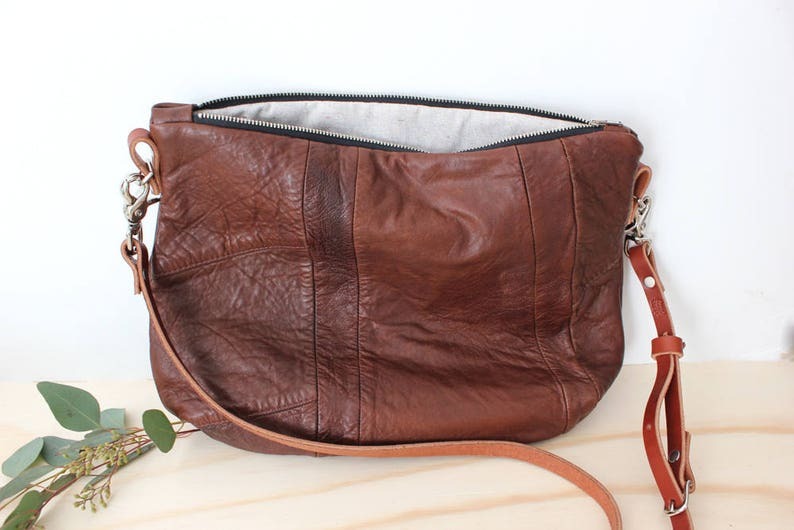 This ROSE hobo style crossbody bag is made from vintage leather, repurposed from a leather vintage jacket with organic cotton/recycle hemp fabric lining. Original seams and stitching from the jacket have been incorporated into the design as a nod to the leather's former life. Fully adjustable and removable strap with a zipper closure. A roomy interior with welted zippered pocket. Strap hang: adjustable approx from 14" to 22"